In Grenoble (France), from June 20 to september 7th (except july), I hold an exhibition of my Red Mars photomanipulations. 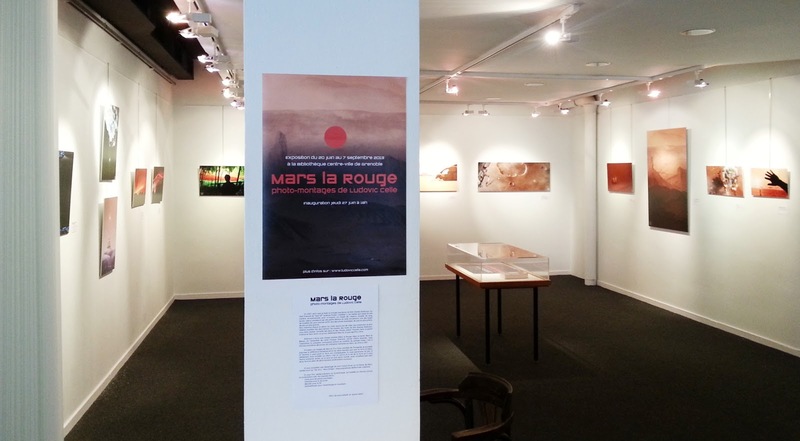 The title is "Mars la Rouge - photo-montages de Ludovic Celle"
It is located in the town center's library (Bibliothèque Centre-Ville, 10 rue de la République). Though the exhibition already started yesterday, the actual launch event will happen on june 27th at 6pm. 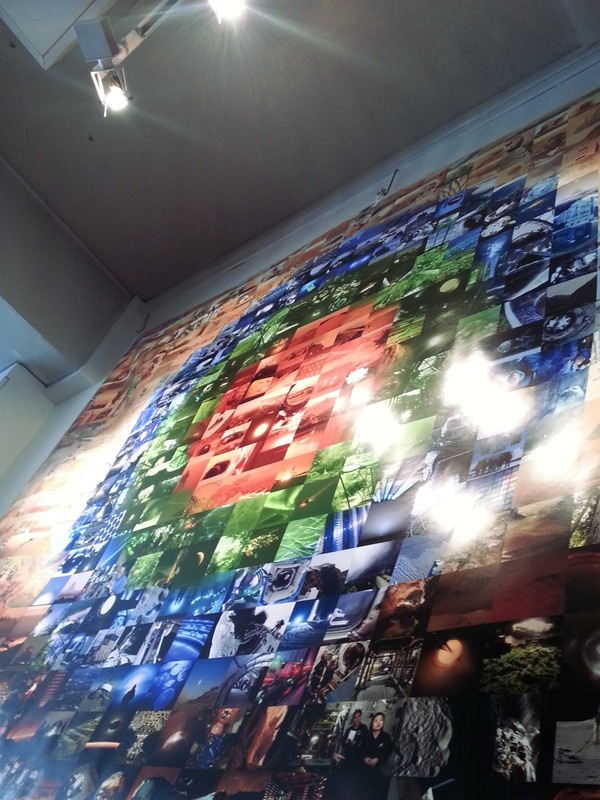 The exhibition features 13 of my photomanipulations + a brand new giant mosaic made of around 600 pictures of Red, Green and Blue Mars (which I will soon unveil in HD on the web). The prints are from pretty large size to very very big, the kind of dimensions my pictures have always been made for. 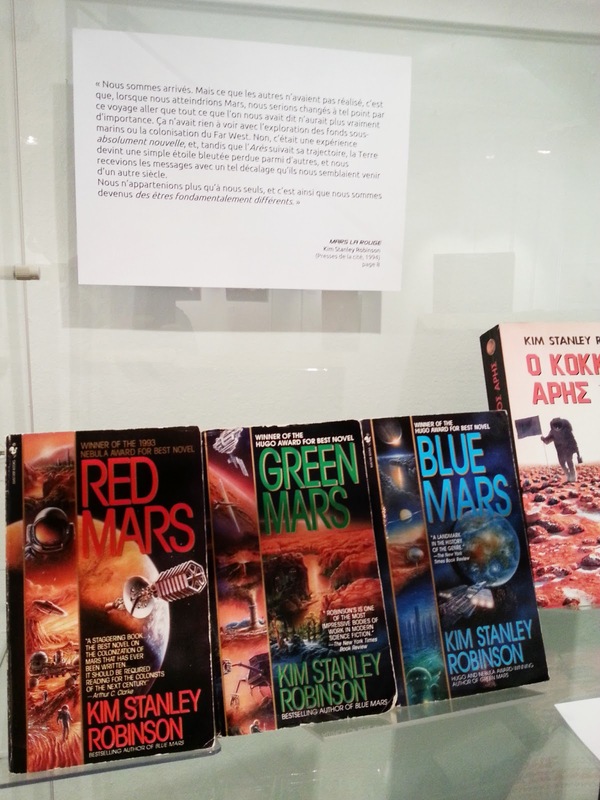 The library staff, my friend from KimStanleyRobinsonInfo and I have gathered a nice selection of KSR books that are displayed in the exhibition to connect my artwork with the novels themselves. 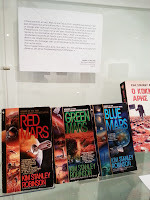 If you pass by Grenoble, come have a look at my Mars exhbition and don't hesitate to contact me by e-mail in case I am available to guide you! If you are on Facebook, you can like my graphic art page where I often post new art and photos from the exhibition and other events around my work. It's in french, but mostly visual.